There are a number of ways to finish a quilt = binding tape, knife edge, fold over from front to back (or vice versa) or an applied binding. Binding tapes were used in the first half of the 19th century, often referred to as Trenton Tape, the primary manufacturer. These selvage tapes are coming back around again. Knife edge is what you see on a decorative pillow, for example, when the item was either turned inside out when the edges were sewn together, or the edges were turned into each other and sewn down from the outside. Fold over bindings incur the use of excess top or usually backing material, that is folded over the opposite side of the quilt and stitched down. 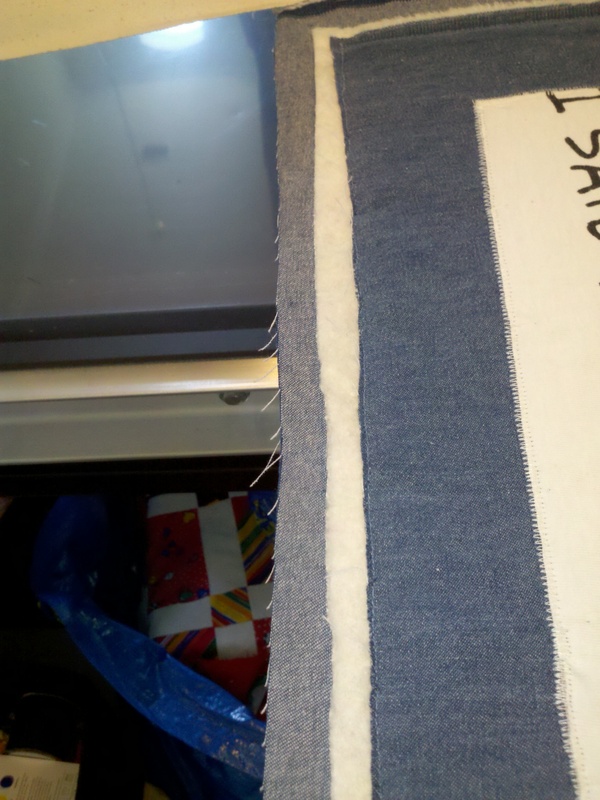 From those I have seen, the fold over binding is usually fluffier, less tight than an applied or tape binding. The binding I’m detailing here is a double-fold applied binding, machine stitched front and back with mitered corners. 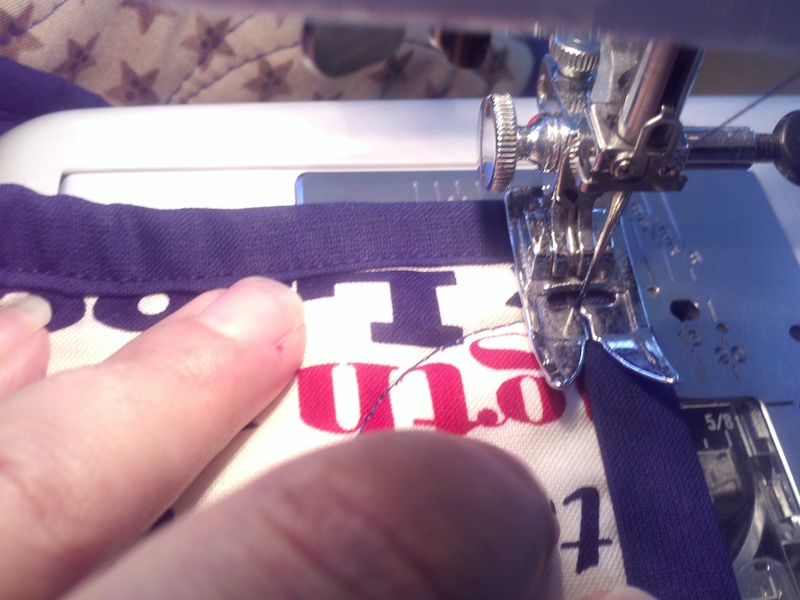 It’s much easier than you might think, and takes MUCH less time (and finger blisters) than hand stitching. 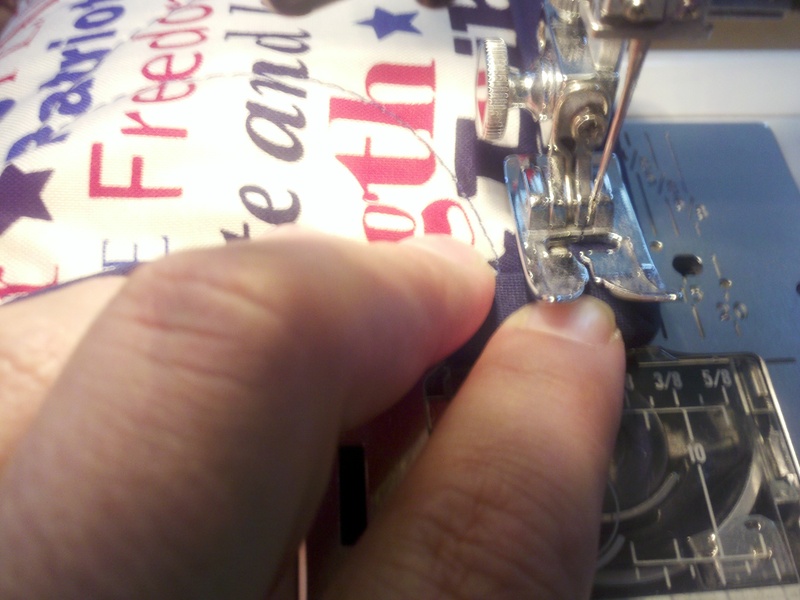 But if you prefer to finish the binding by hand, I will address that as well. 1. 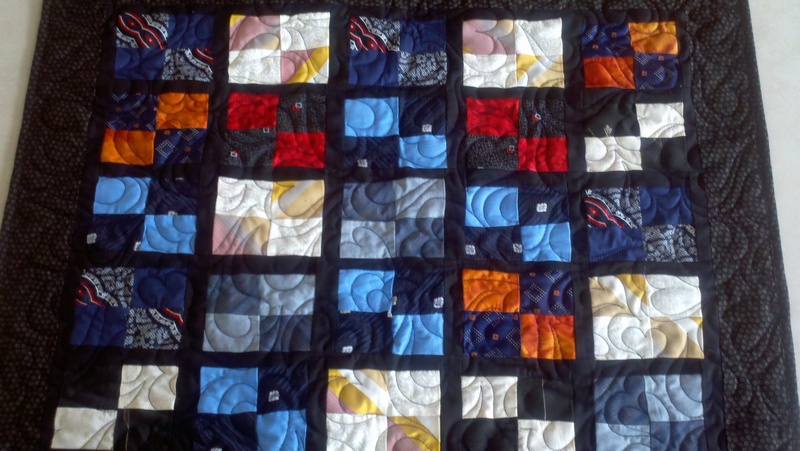 Picking binding fabric – you can either choose a fabric that complements the quilt and draws out certain colors from the quilt top, use the same fabric as the backing or use the same color or fabric as the outer border on the top. I tend to use the same or similar color fabric on the back as I use for the outer border on the top, so I usually use my extra backing fabric as my binding fabric. 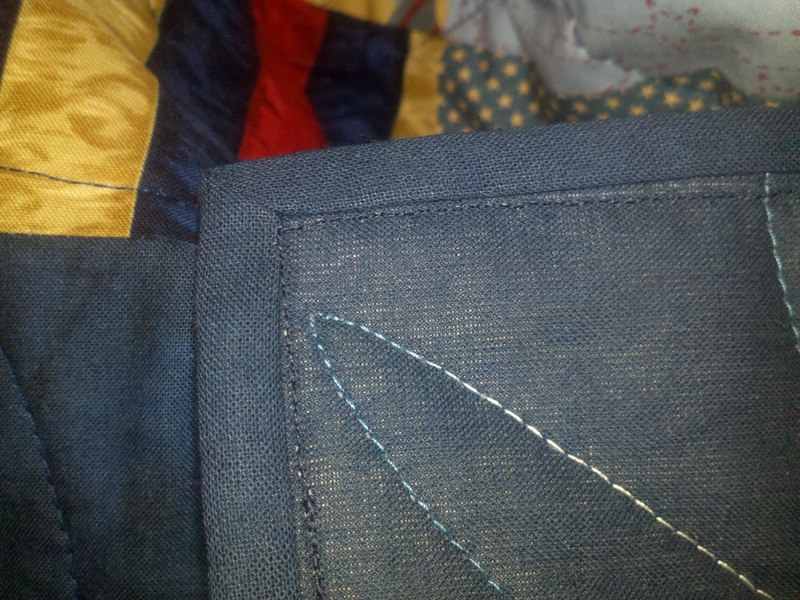 This makes thread choice easier, as you can use same color top and bobbin to ensure you hide your seam as best you can. 2. How much binding do you need? Well, start with your quilt circumference. 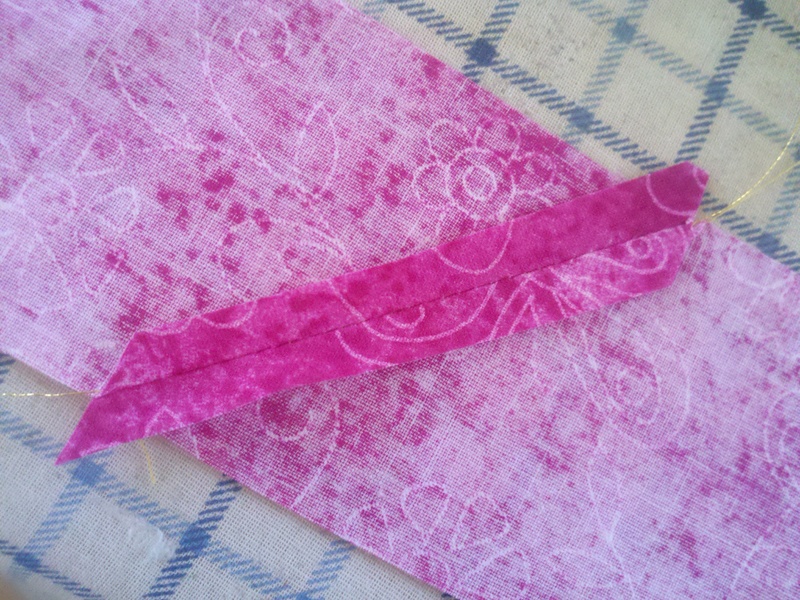 Add in 4″ for each seam (that depends on the length of your strips) and another 3″ or so for each corner of your quilt. 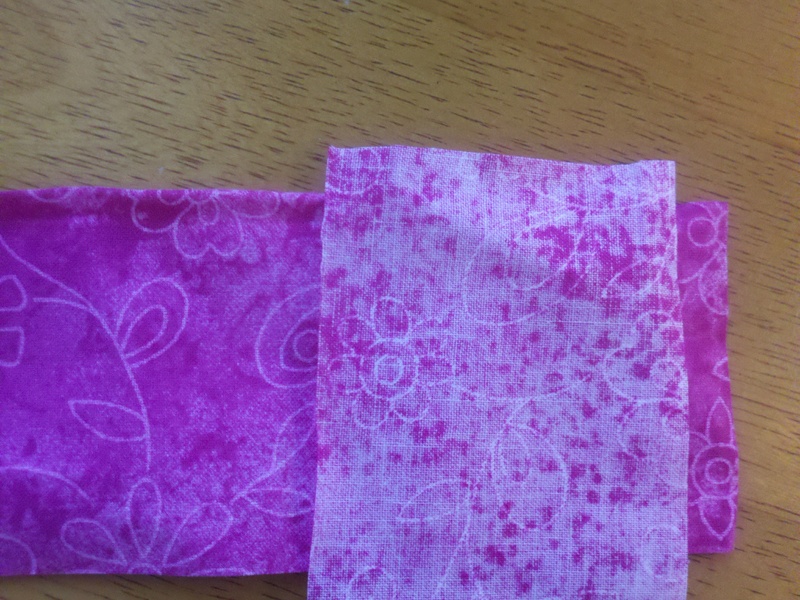 So in the case of using my extra fabric from the backing, if my quilt was square, I’d presume to need 5 strips of the length of that backing to make my binding. That’s the kind of math I like! 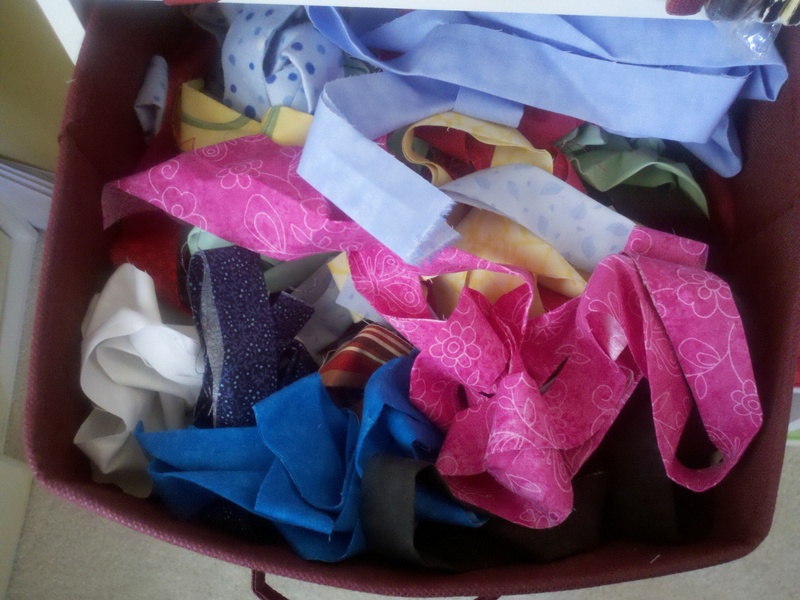 You can see my extra binding bin just awaiting use in some scrappy quilt. 3. 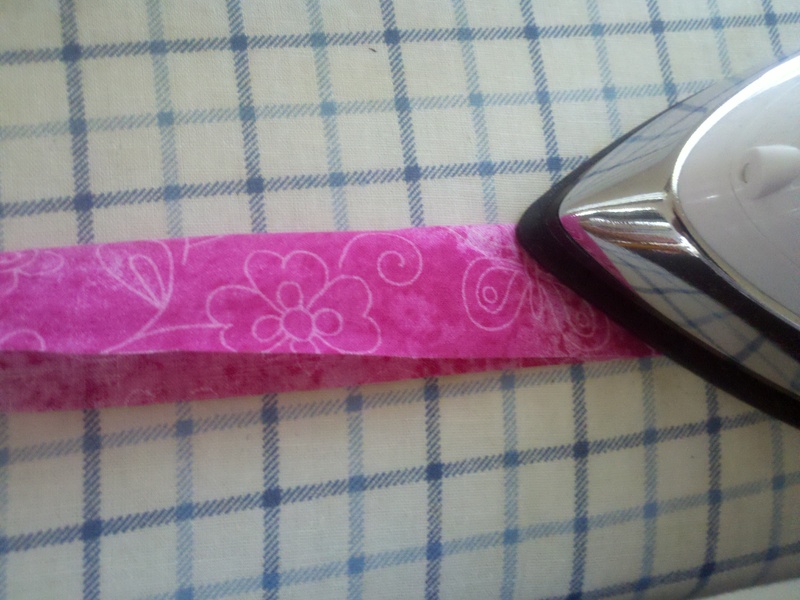 Cut your binding strips – Cut strips of the fabric you’ve chosen. 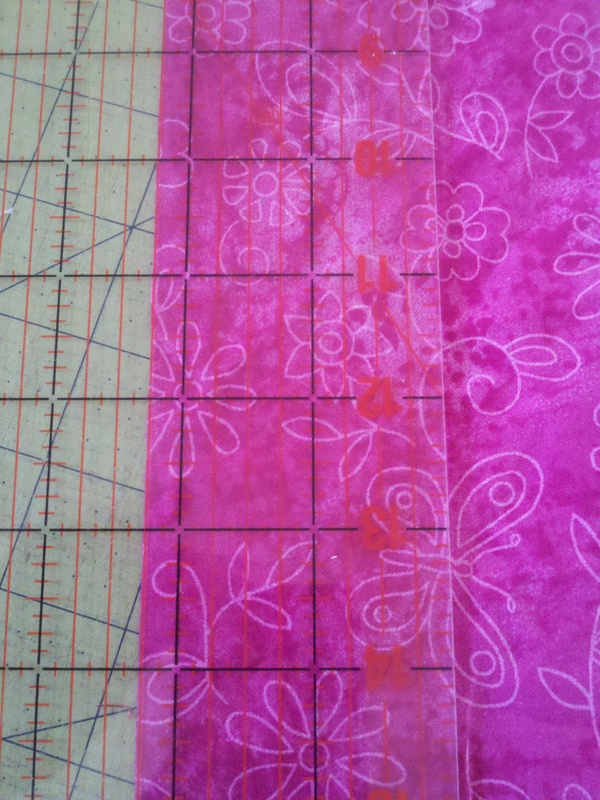 I use 2 1/4″ wide strips, but some quilters prefer a 2 1/2″ binding. 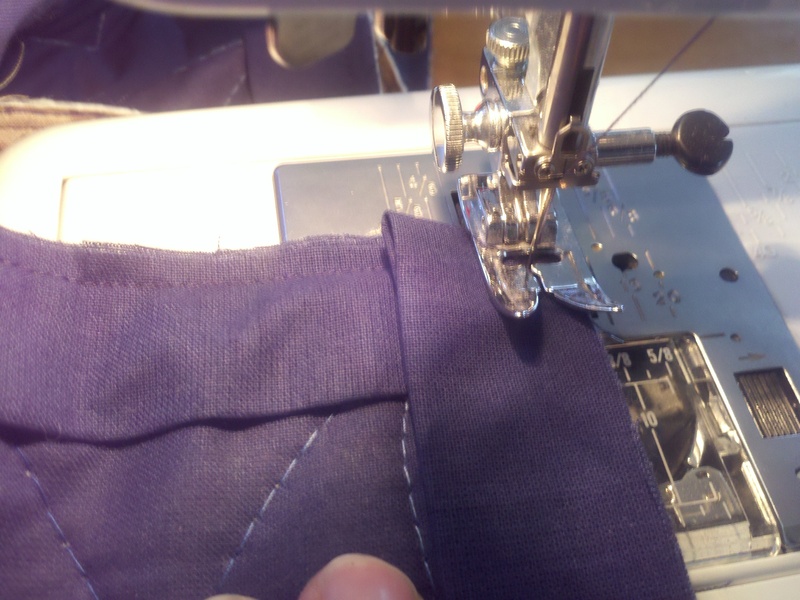 If you are uncertain, start with 2 1/2″ and if you find you don’t need that much fabric to get a nice closure around your sides just go with less the next time around. 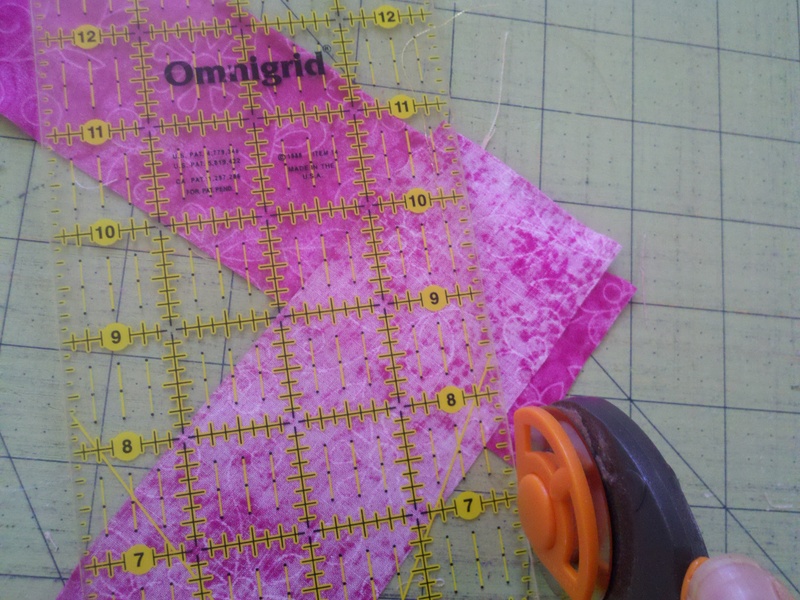 You don’t have to use bias strips (diagonal across your fabric). I always hated how that left my material scraps wonky. 4. 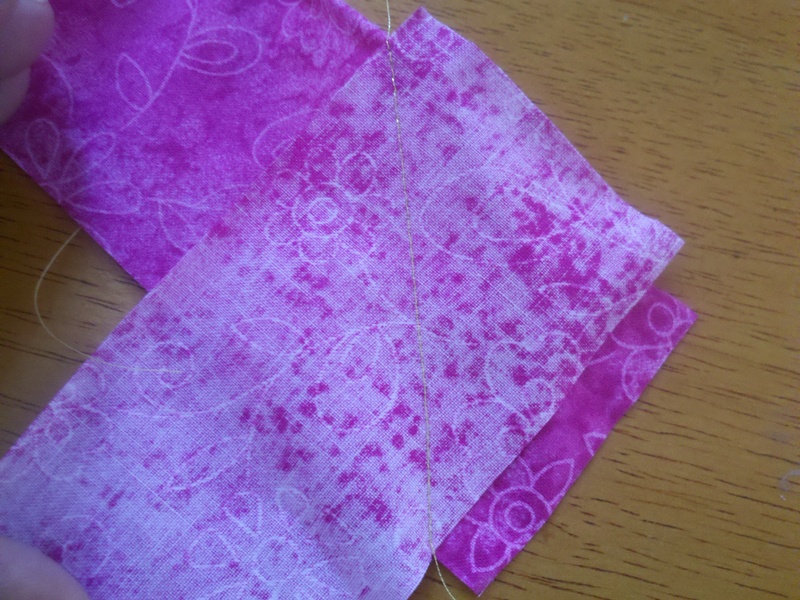 Sew your binding strips – The strips need to be sewn at a diagonal to each other, so there won’t be any thick seams to sew through upon attaching the binding to your quilt. This is easier with patterned fabric versus solids that are reversible. Trust me on this one. 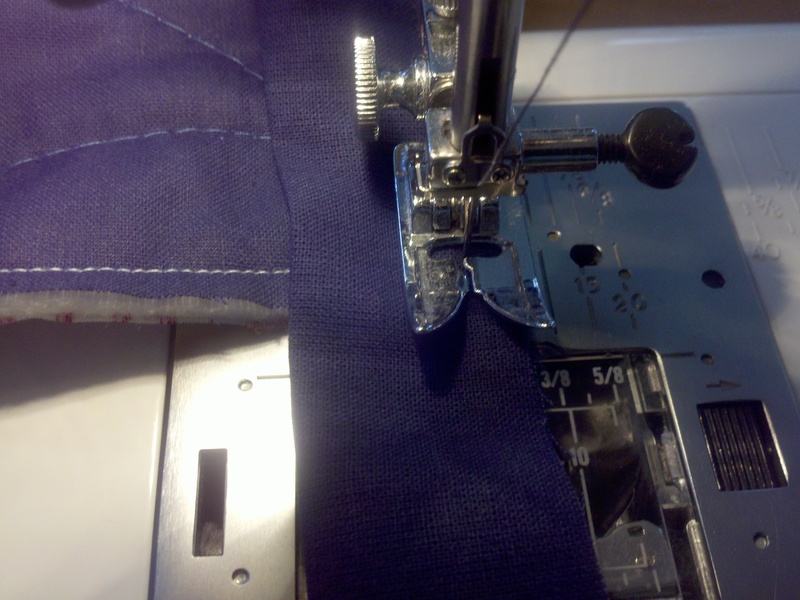 Place two strip ends at a 90 degree angle to one another, right side together and sew at a diagonal. When opened this should create a continuous strip. Sew all your ends together to create one long strip. 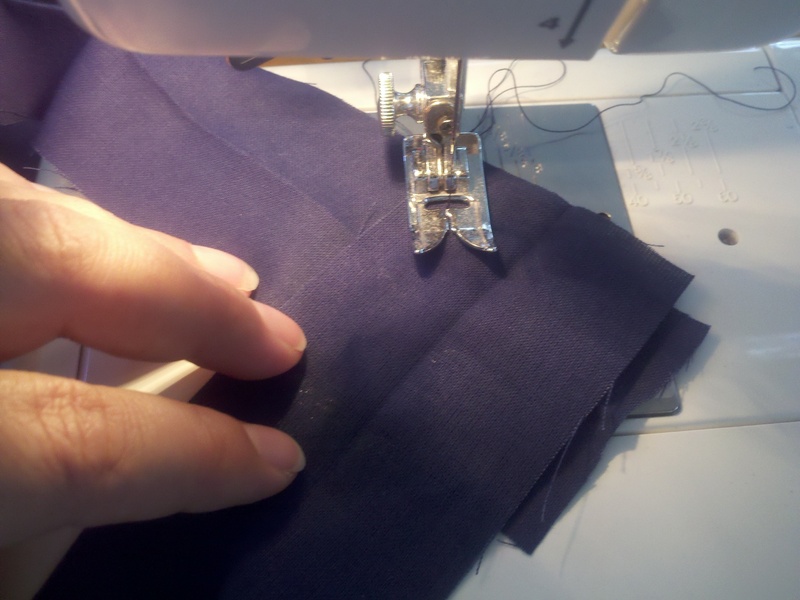 Ensure your seams are all to one side of the fabric, and then trim the excess triangular pieces from the seamed ends to leave just your 1/4″ seam allowance. 5. I hate ironing. Yep, I’ve said it before, and it’s true. But its the one part of my job I don’t love, and it’s necessary, so let’s just get on with it. 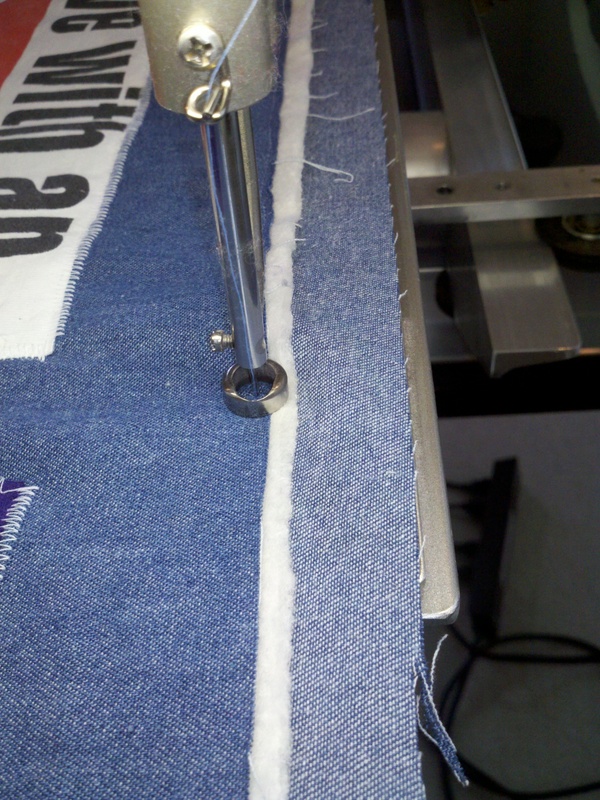 The binding must be folded over and ironed along the entire length. When you come to the diagonal seams, press them open and continue along your strip until the entirety is folded over and ironed in place. 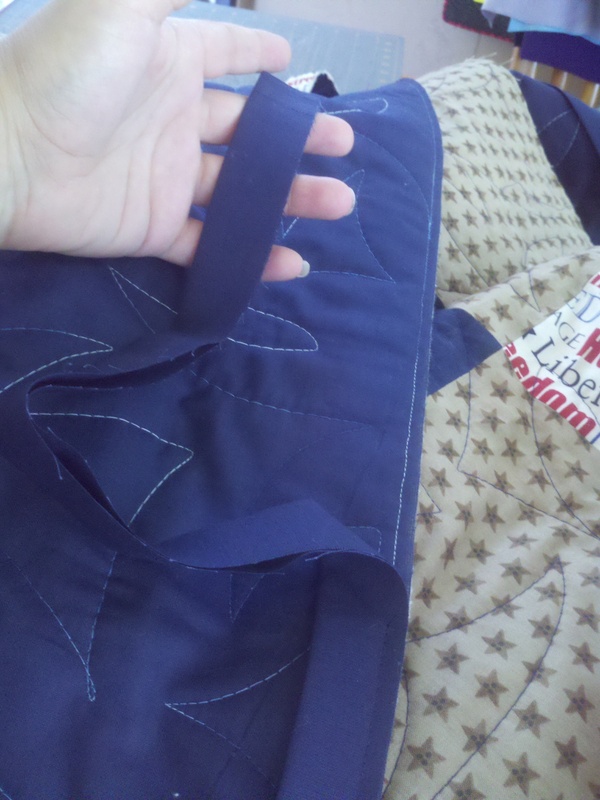 Your binding is now complete and ready to be attached to your quilt. 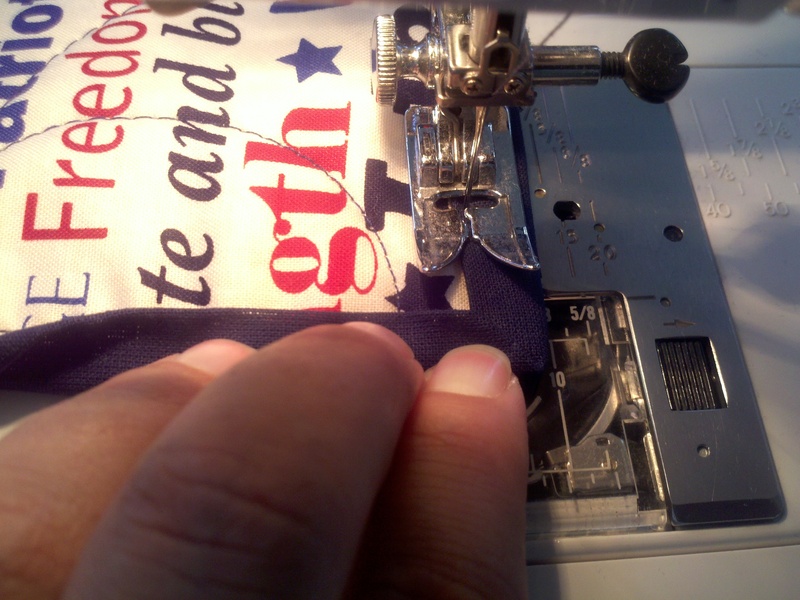 A. Attaching the binding to your quilt – if you have decided you will hand stitch the back of the binding, ensure you attach the binding by machine to THE FRONT of the quilt. 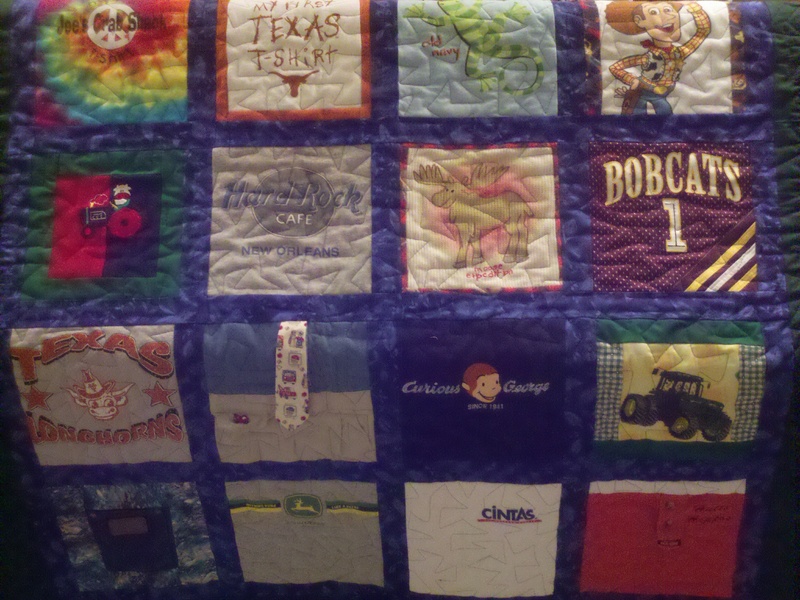 Otherwise, we will first attach the binding to THE BACK SIDE of the quilt. 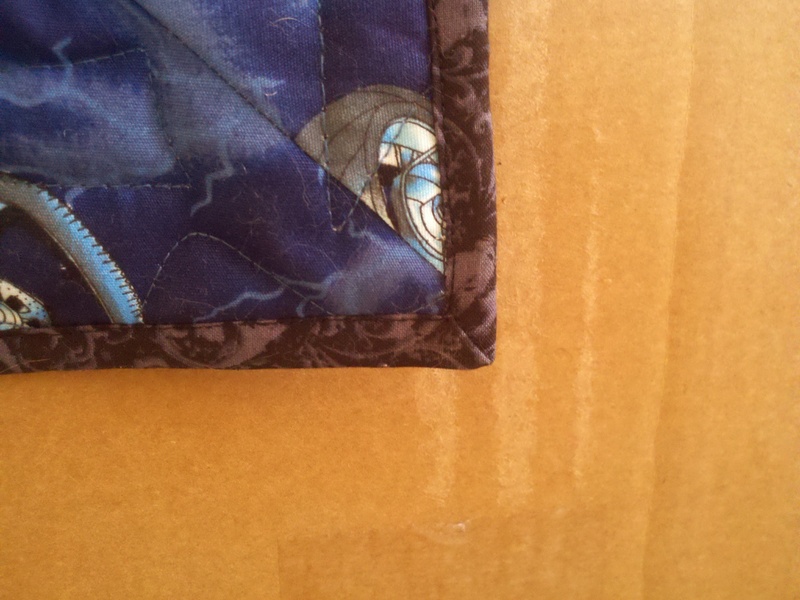 Leave yourself about a foot of binding above where you begin to attach it to the quilt. 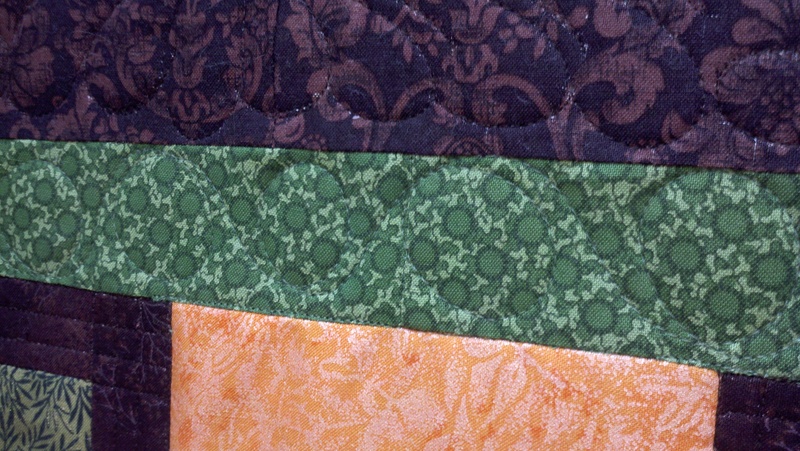 Starting more than halfway down one side of the quilt, align the open edge of the binding to the edge of the quilt and sew down the length of your quilt. B. Corners – Don’t be afraid, this is really easy and they will come out square. 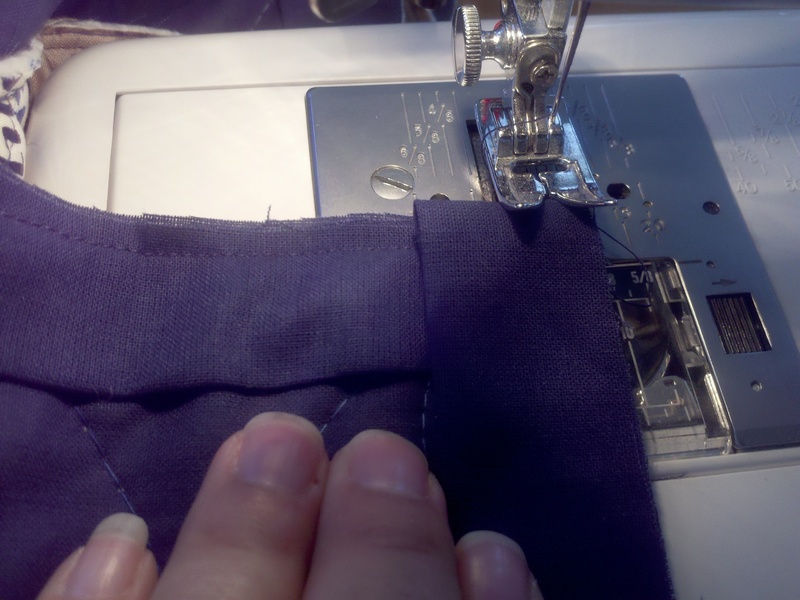 Sew up to 1/4″ from the bottom edge in the direction you have been sewing. 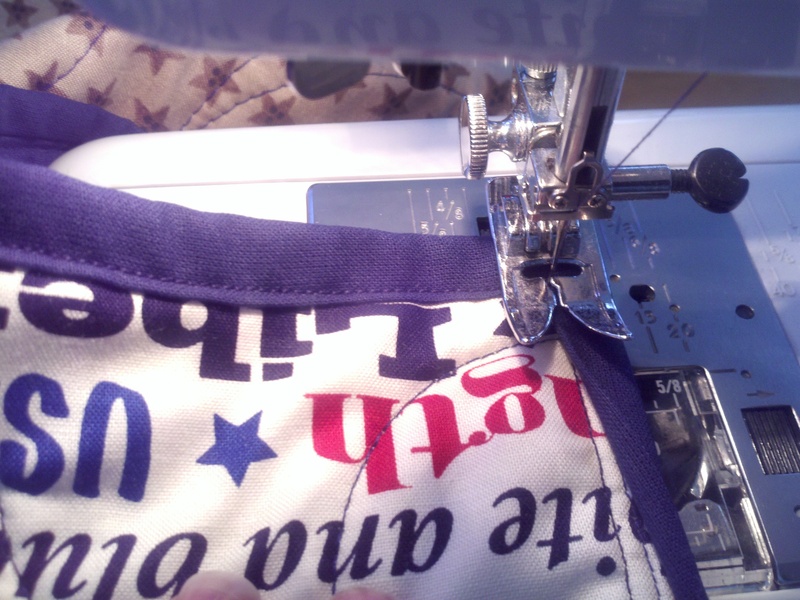 You’ll know where that is because the thread from sewing the binding on the back will be your guide! 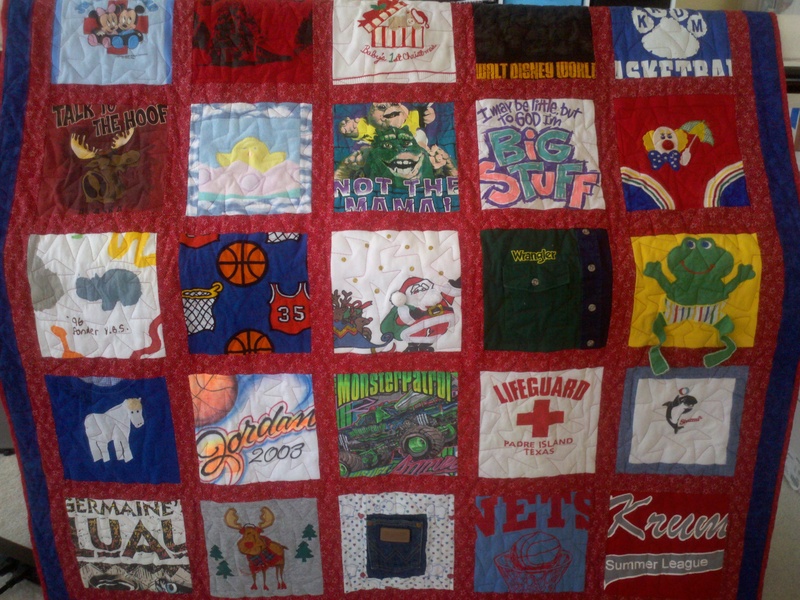 Lift your needle and move the quilt to the side a bit. 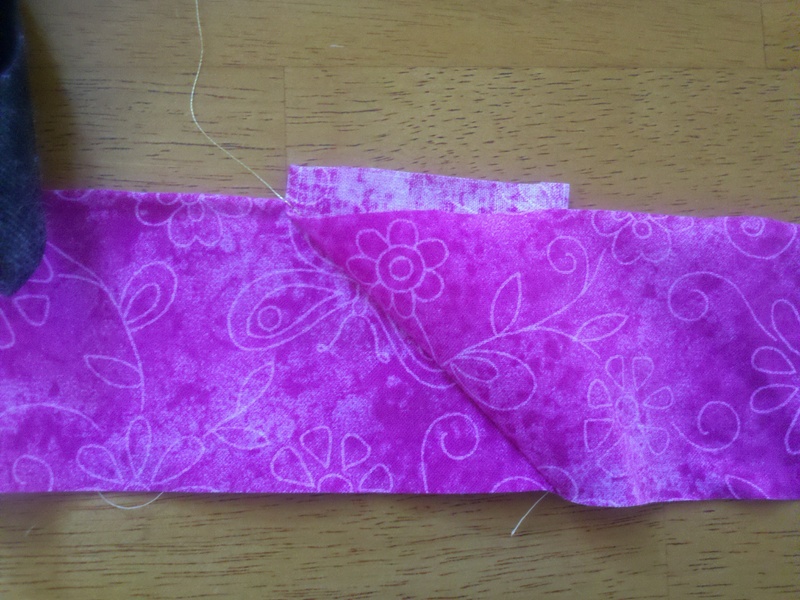 Pull the binding up to create a fold that is triangular, and when you bring the binding back down it is squared on top. 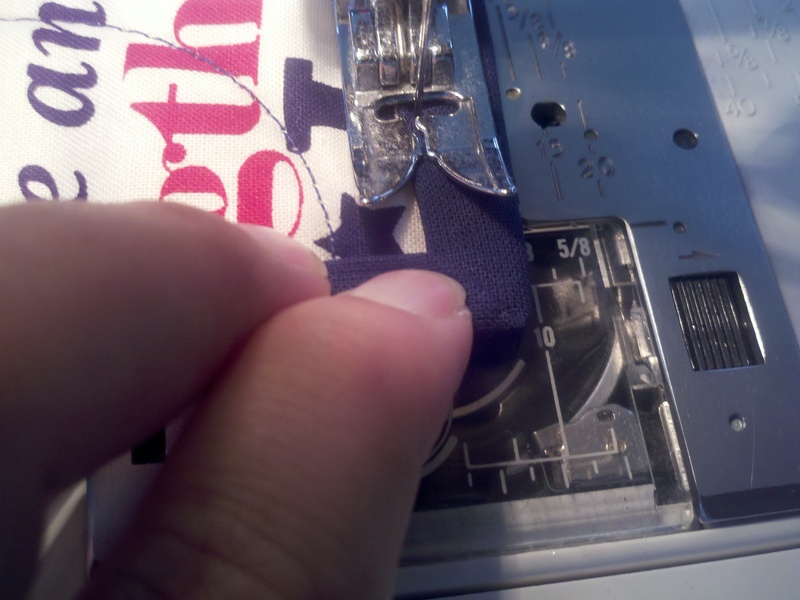 Move your corner back under your sewing machine and lower your needle in the corner 1/4″ in from the corner. 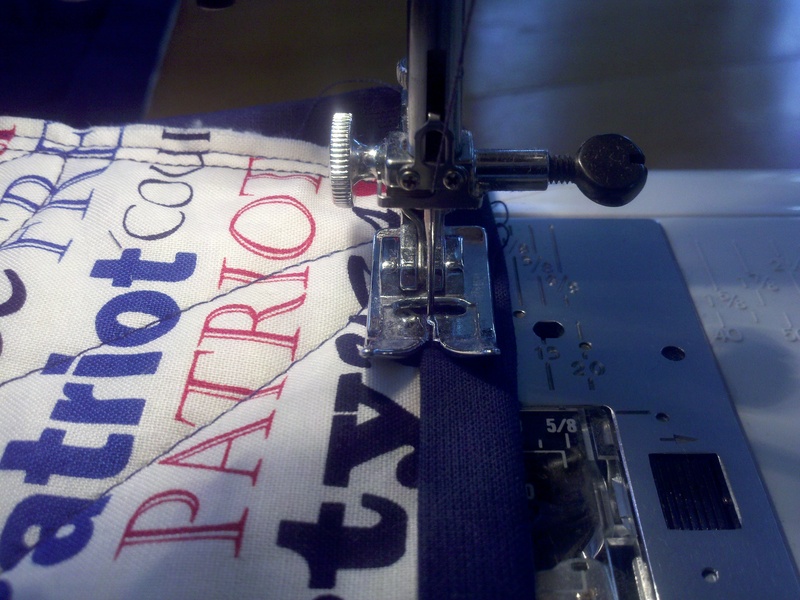 Begin to sew in the direction perpendicular to the previous seam. 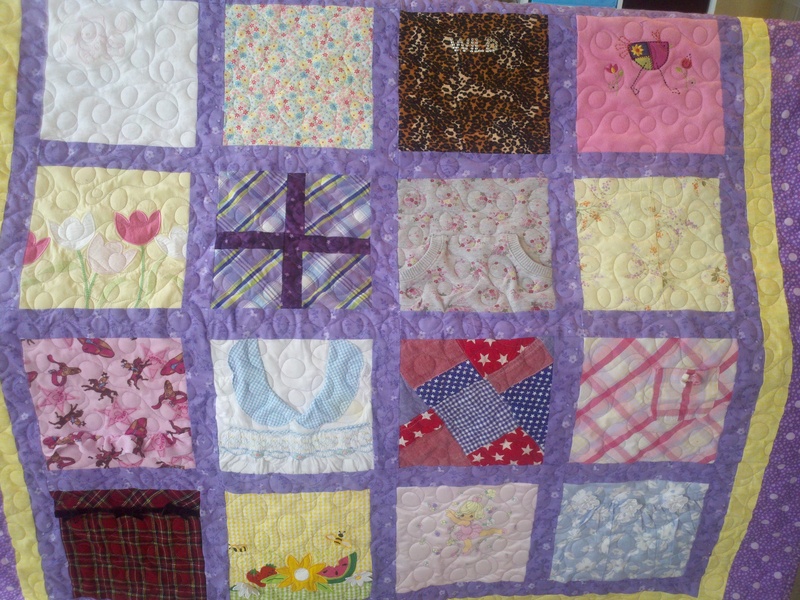 Continue down the length of the quilt until you reach the next corner and repeat. 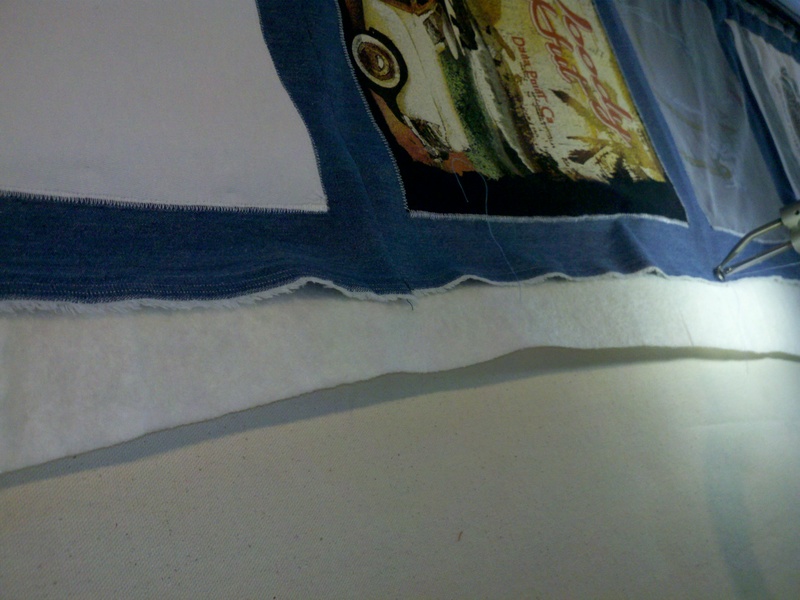 C. Finishing the binding ends – you could very easily sew down one end of the binding and sew the remaining end over it, but it can leave a rough edge if you don’t fold the end under, and an unsightly bump if you do. 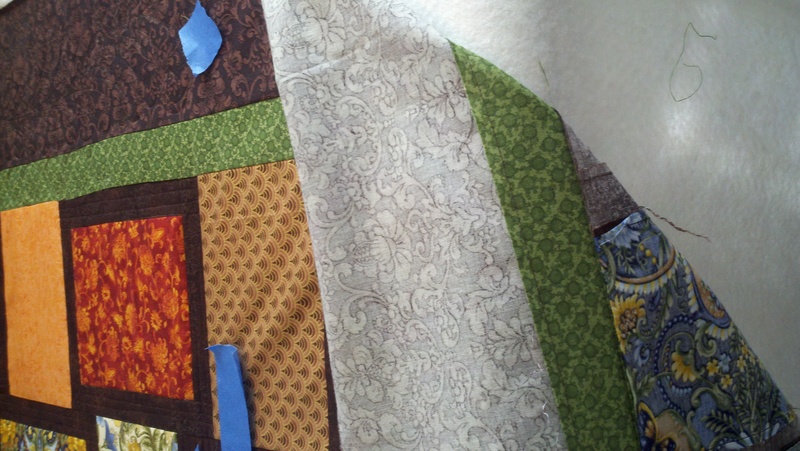 Instead, try this method: once you round your final corner, stop sewing the binding to the quilt when you have about 2 feet between that spot and your starting point. 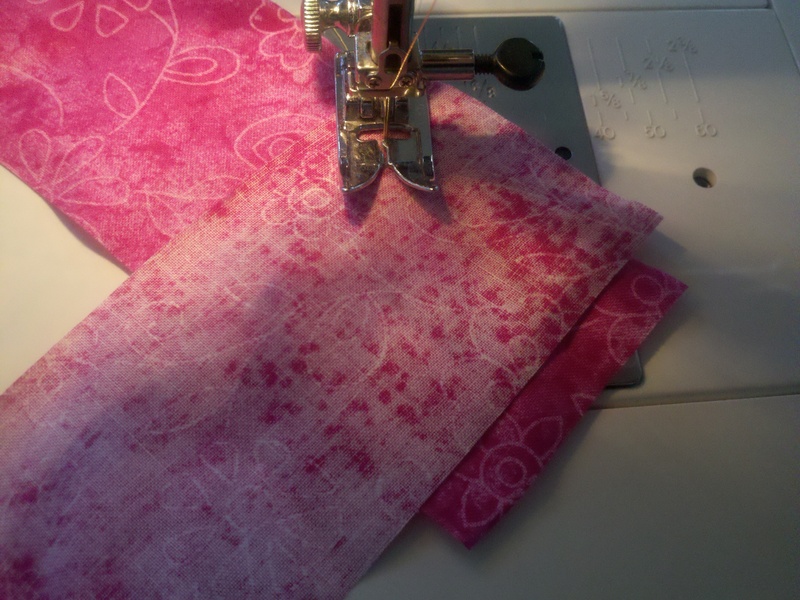 Cut your thread and lay the part of the quilt flat on the table where the binding is not sewn. 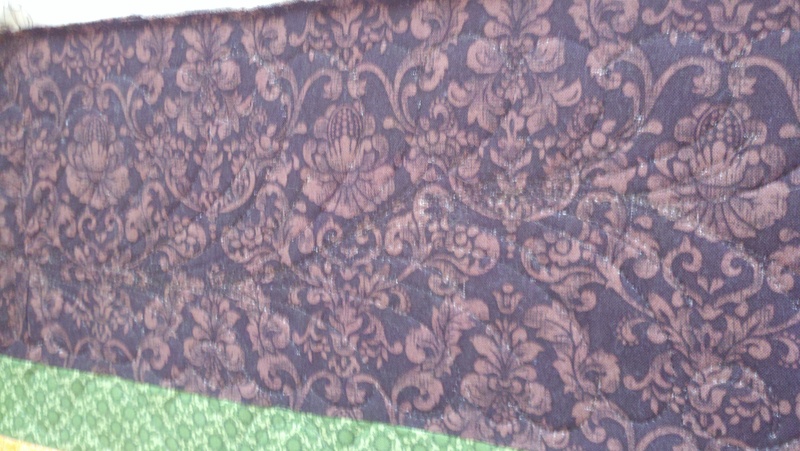 Flatten the binding from the start onto the quilt, and lay the end of the binding over it, so they are on top of one another. Take the very end of the binding, open it up and lay it upon the overlap of the two bindings, about 1/4″ in from where the beginning of the binding starts. 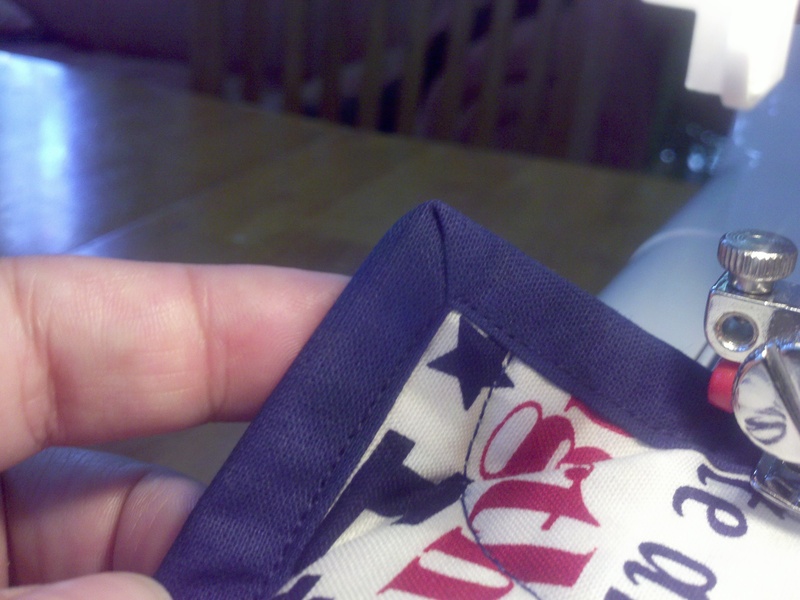 Give a 1/4″ seam allowance on the other side of the end of the binding and cut it. 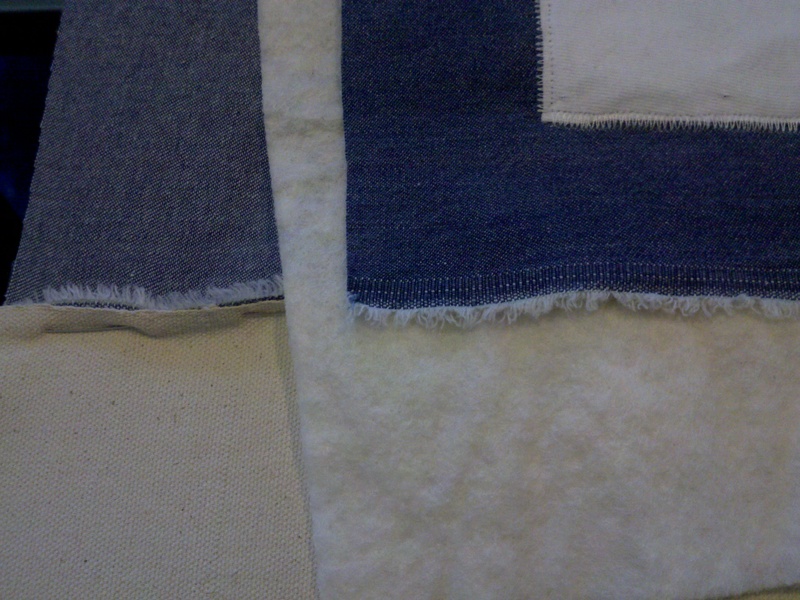 This will give an overlap of about 2 3/4″ (if you’re using 2 1/4″ binding). Open each binding end and place them right sides together, ensuring neither side is twisted. 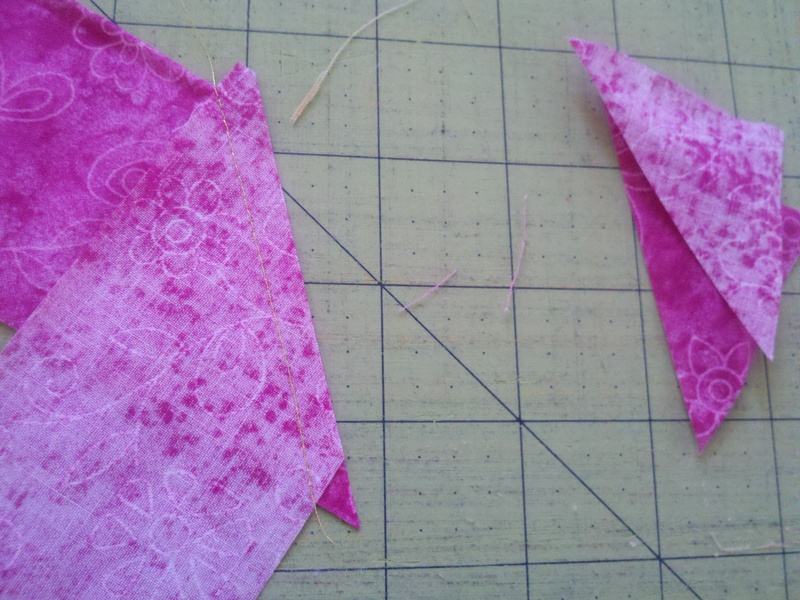 Turn one end so they are perpendicular and sew on the diagonal, just as you did in preparing the binding strip. 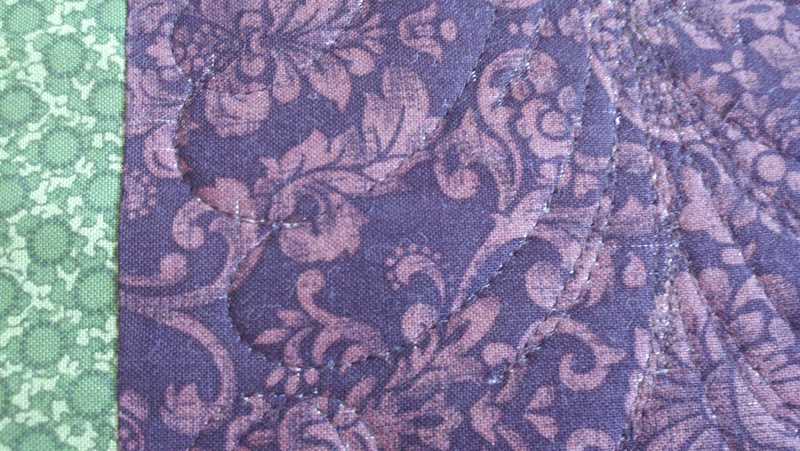 Before trimming the inside of your seam, ensure your binding is of correct length and with no twists – lay it flat on the quilt and ensure there are no puckers in the quilt and no excess binding. 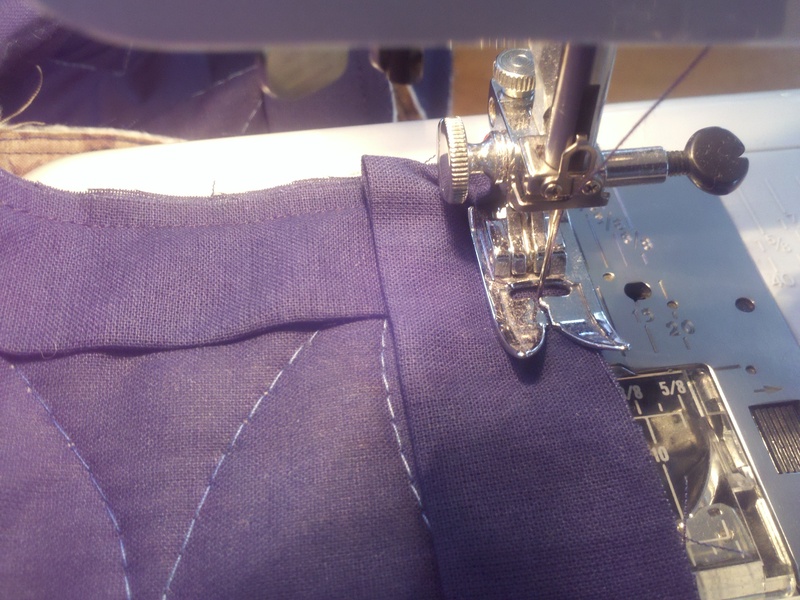 If either of those occur, pull out your seams and either loosen or tighten by sewing just inside or outside your previous seam. 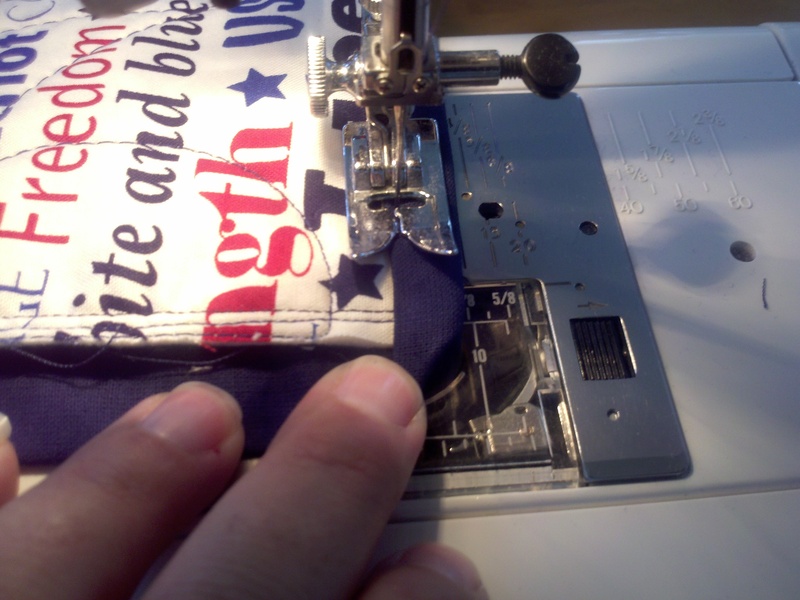 You can finger press (wet your fingers and press down the seam allowance to either side) the seam and fold it over to match the ironed binding. 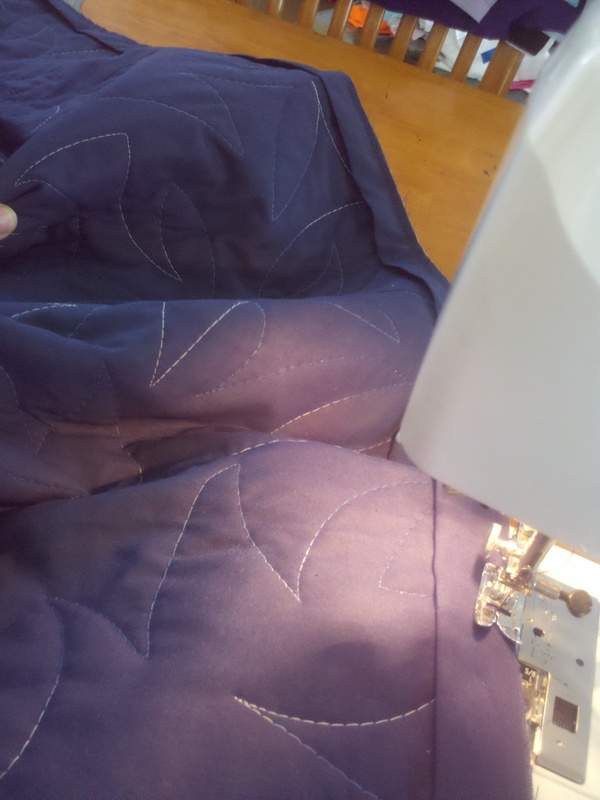 D. Finish the first side by placing the quilt and binding back under your needle, ensuring to overlap from where you left off just a bit, and sew the rest of the binding to the quilt, overlapping your seam at the end as well, just to ensure it is secure. If you have the time and patience, you could slip stitch by hand, maybe while you are watching the news or a movie with family on the couch. If you don’t, follow along! 1. 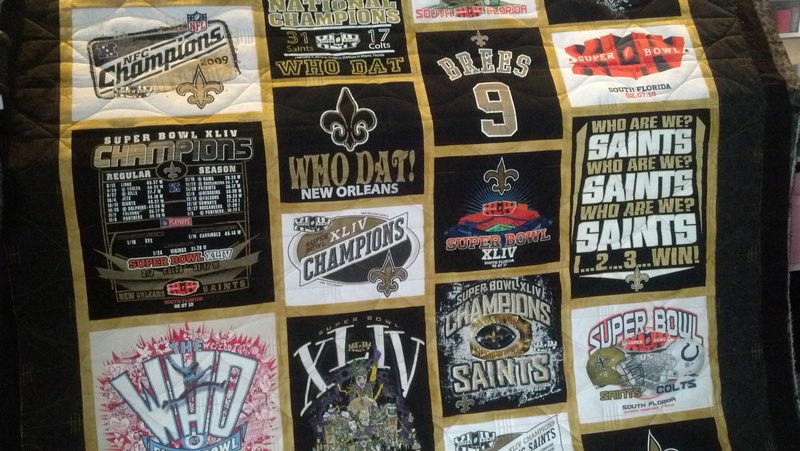 Turn your quilt so the front side is up. Starting on any side of the quilt, towards the top of that length, fold the binding over towards the front of your quilt and put your needle down through the layers. 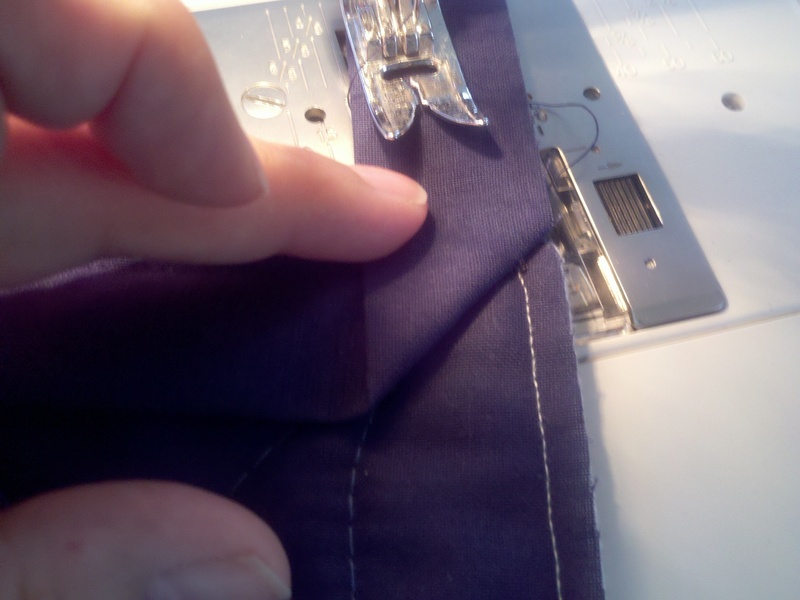 Sew carefully so you keep your seam as close to the edge of the binding as possible, without missing the binding. 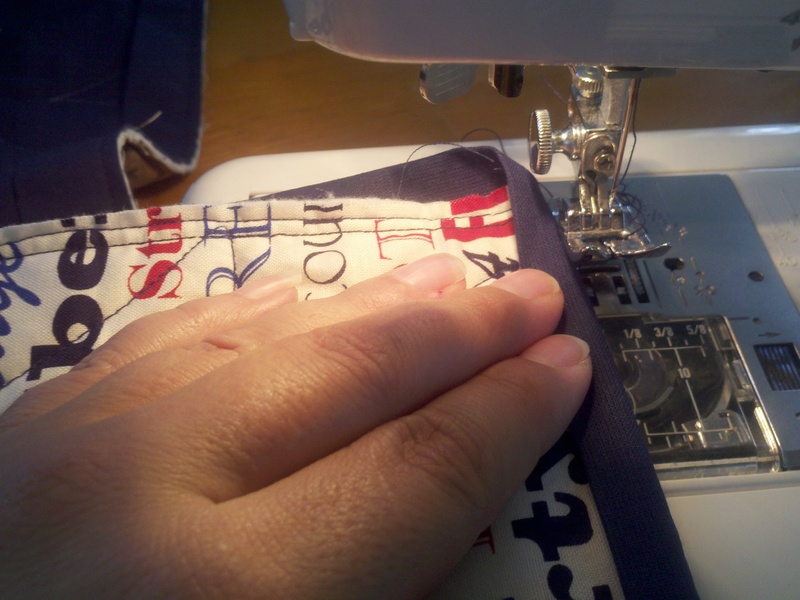 If you do miss it or are unsure, reverse your stitch and stitch over that area again. 2. Corners – when you get to a corner, stop about 1-2″ before you get there. 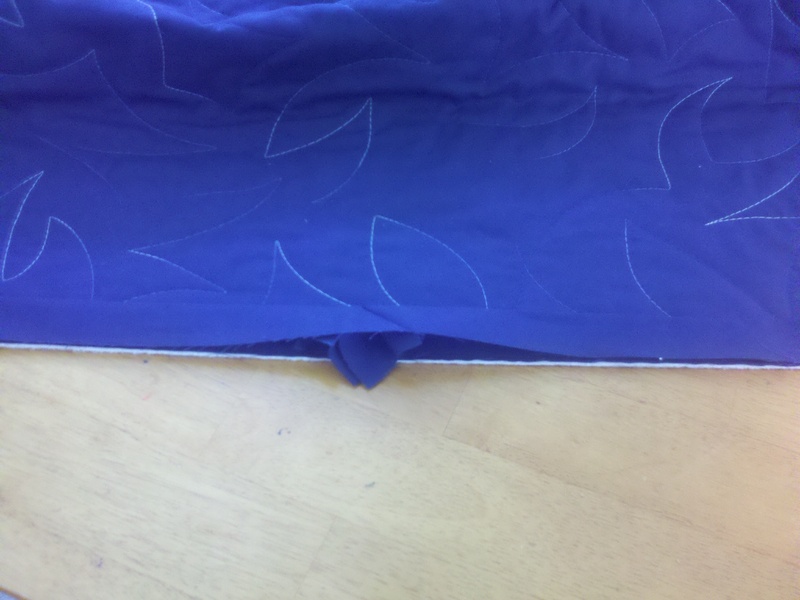 Take the binding material from the next length and fold it up, which will give you a mitered corner. 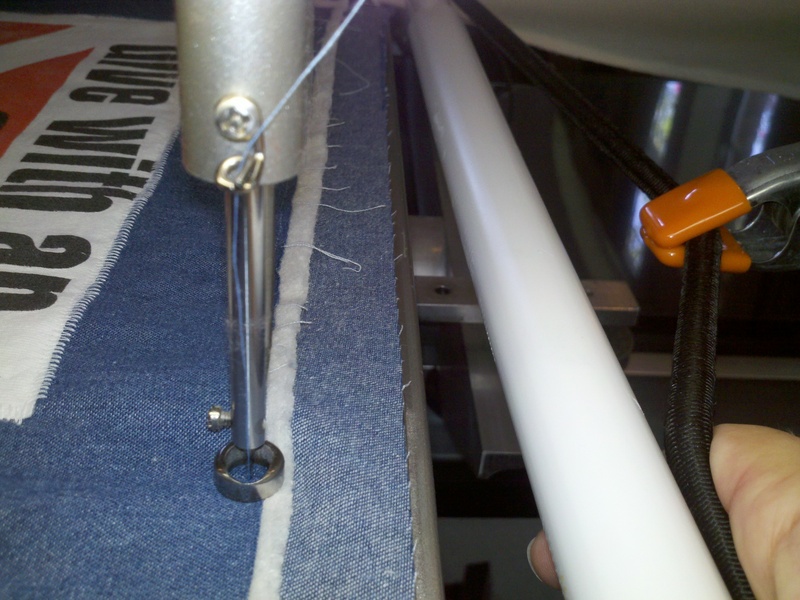 Slowly proceed with your machine to ensure you keep the binding in place as you approach the corner point. 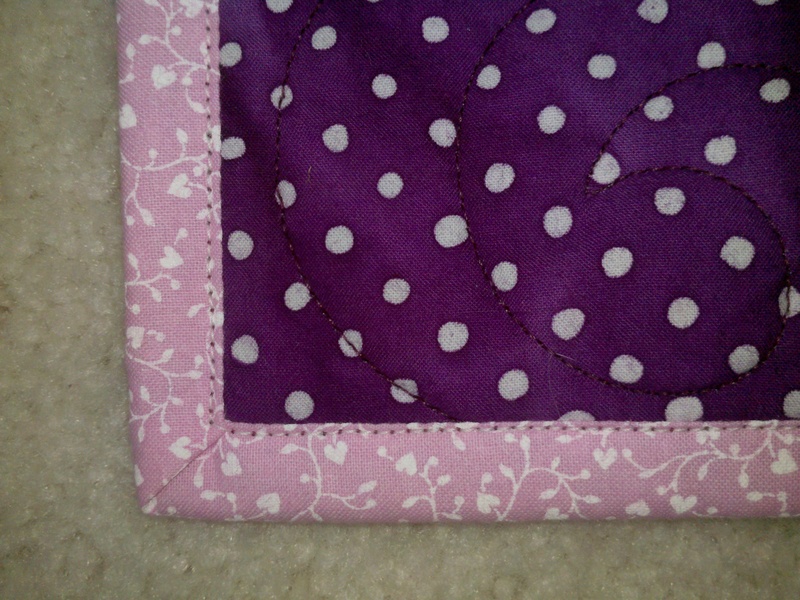 Once you reach the intersection of both bindings, leave your needle down, bring your foot up and turn your quilt. 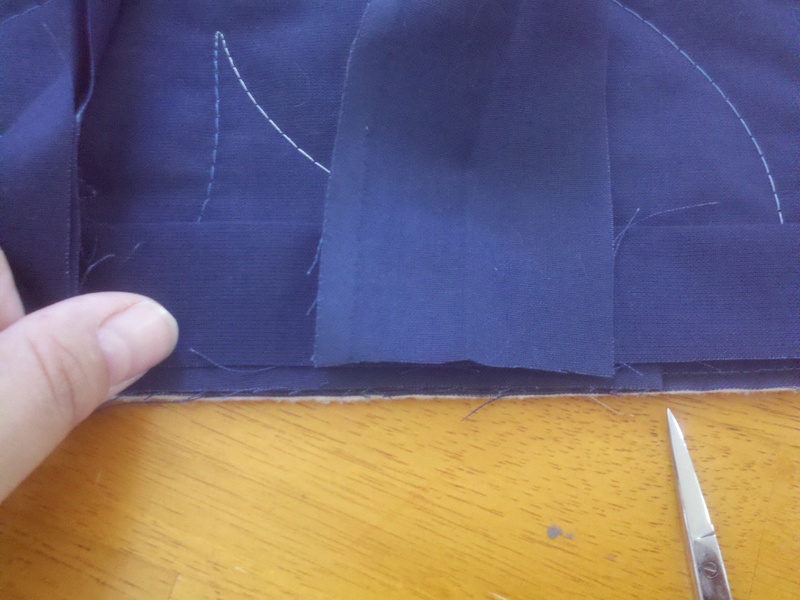 Sew down the next length until your next corner and repeat. 3. The finish! 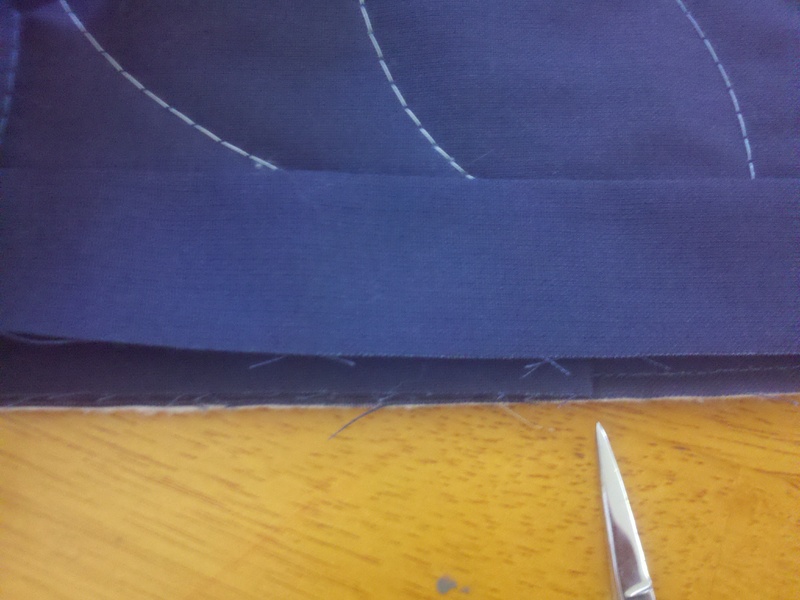 Once you round your final corner, sew past where you began to attach the binding to ensure you have a secure seam. Trim your threads and YOU ARE DONE! Now wasn’t that easy? 😉 Happy quilting my friends! I am going to do my best to keep this simple. 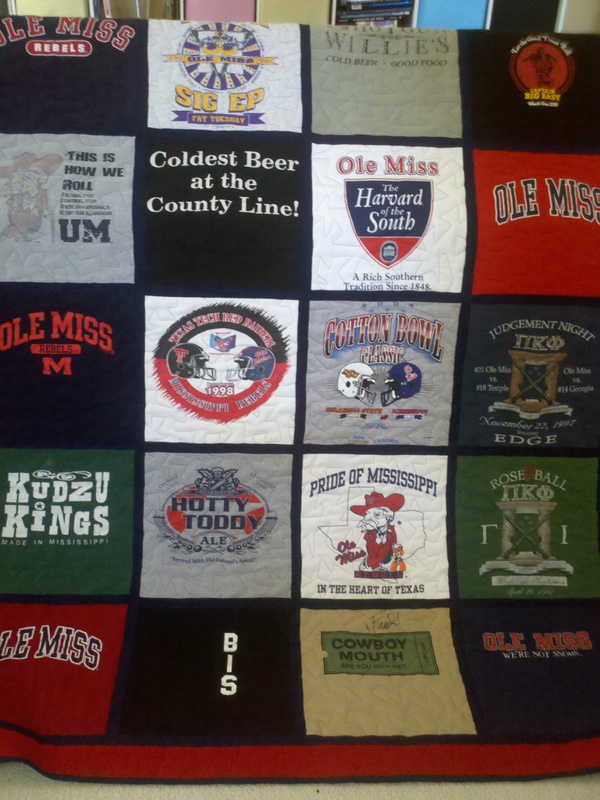 What this post will lead you to is a finished quilt top, with stabilized t-shirts, separated by sashing and surrounded by a border. I can’t tell you how much material you will need because I don’t know what size you want to end up with, but you can count on 1-2 yards of sashing material and border material (each). 1. 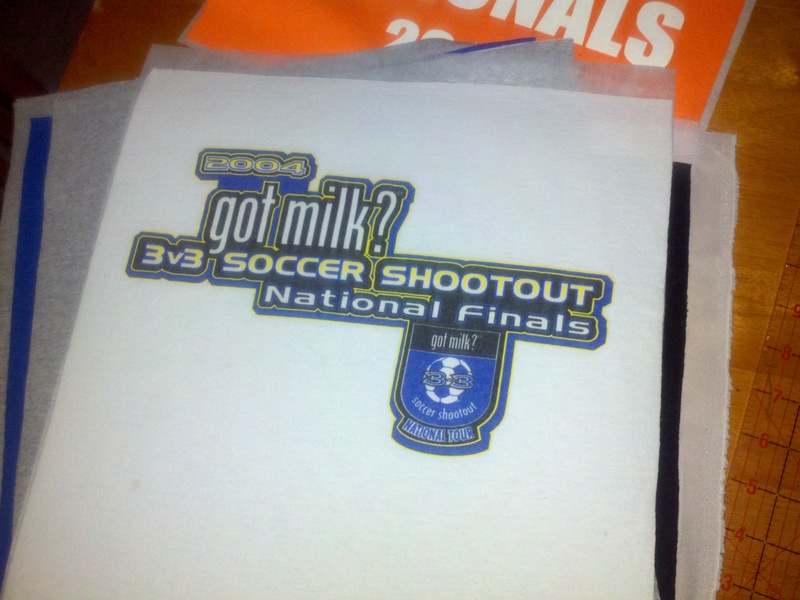 Cut the shirts! 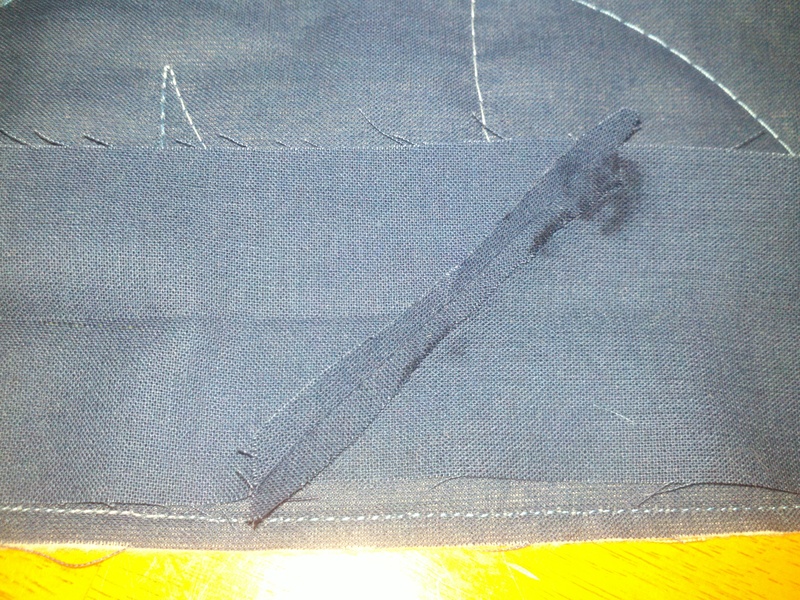 The main point of step 1 is only to separate the front from the back and take the sleeves off. 2. 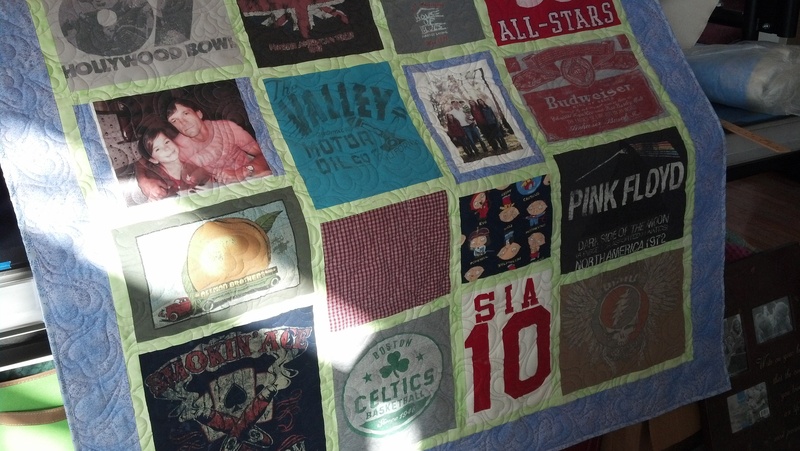 Decide which panels from the front and backs of your shirts you would like to include in your quilt, discard the rest. Count your panels so you can ensure the number works, ie if you have 28 panels and want to make the quilt 4 x 6, you need to cut out a few more, or make your quilt 4 panels across by 7 long. Or you could find another shirt and make it 5 across by 6 long (30 total). 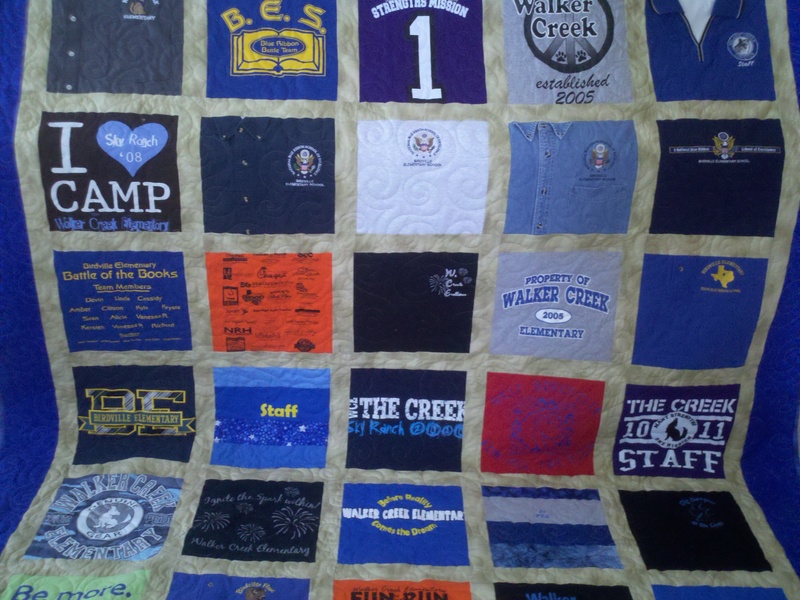 If you have two panels that are small logos, they can be sewn together into one block. 3. MEASURE!!! This step will help you determine the size of your quilt, because it is based mainly on the size of the panels. Check the smallest and largest size your squares could possibly be based on how they are currently cut (approximately, they aren’t square yet) AND the logo/picture on the panel. 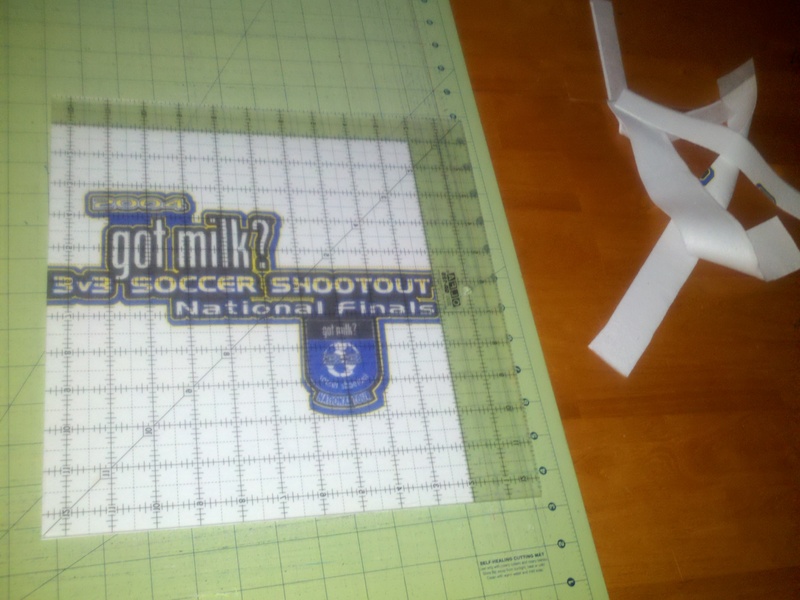 If the smallest panel you have cut is 10″ x 10″, then your squares will be maximum that size. 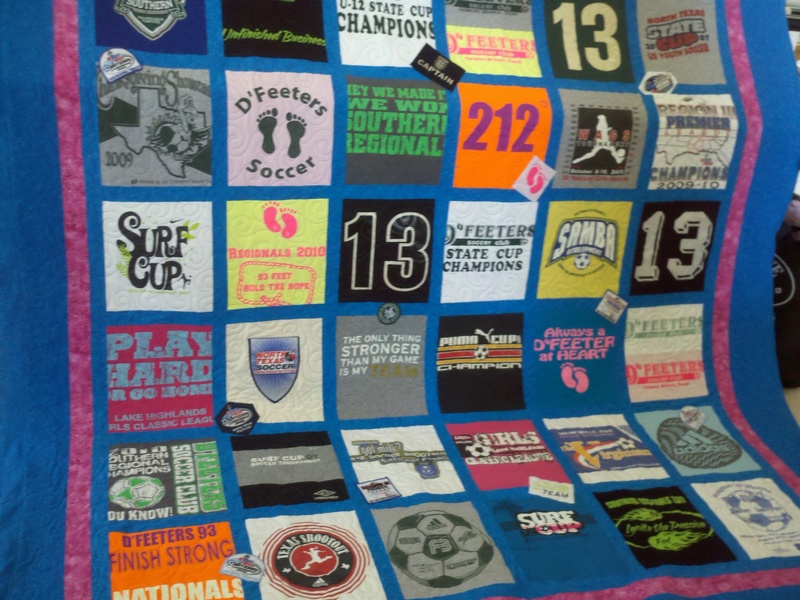 If the largest logo you have is 8″ wide x 4″ tall, then your smallest possible square would be about 9″ wide x 5″ tall. 4. TRIM the panels to about 1″ wider and longer than you want them to end up. 5. Stabilize your t-shirts. To be perfectly honest, the part of my job I like the least is ironing, but this is really REALLY a necessary step. On your ironing board, place your first panel face down. Put stabilizer on top of it, bumpy side down and press. If you move the iron back and forth you may incline the shirt to stretch, so just press, and pick your iron up and press again until you’ve covered the entire shirt. 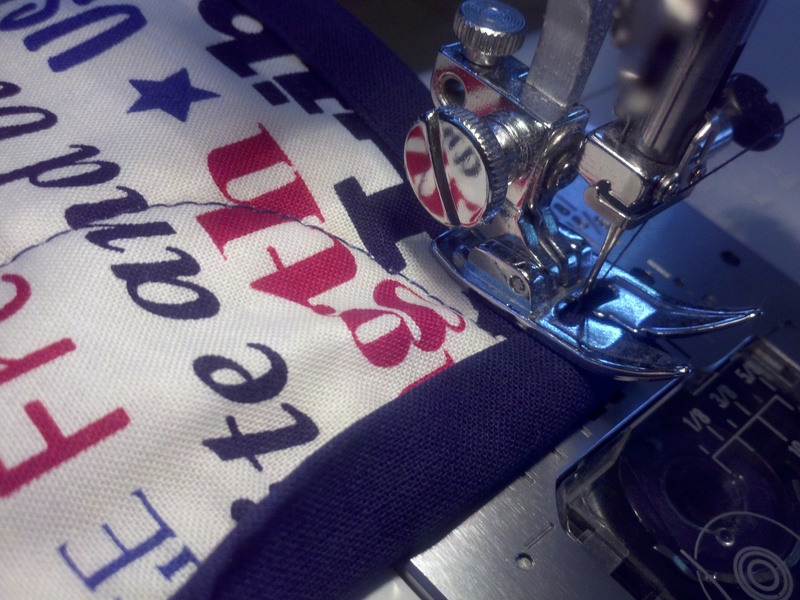 Your stabilizer should come to the edges of the shirts, or at least close. 6. TRIM, yes again. Notice how the stabilizer made your shirts less stretchy? 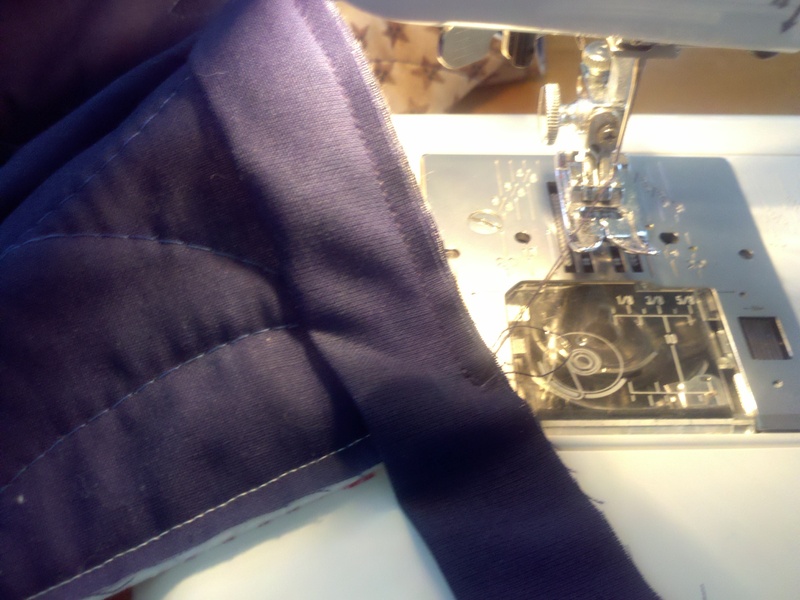 Since we now have STABLE squares/rectangles, we can trim them to the size we want them to be (making sure we include 1/4″ seam allowance on each side, of course). 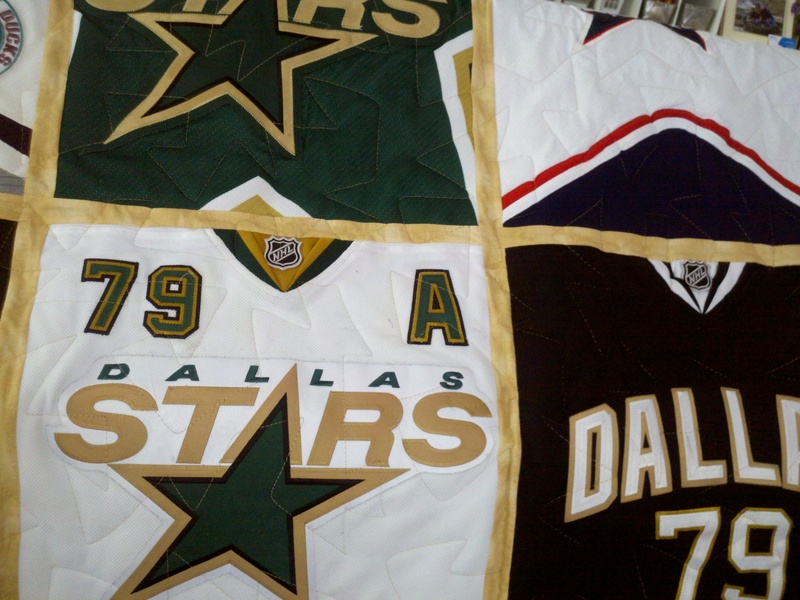 If you want your quilt to be nice and flat, ensure those squares are all the same size. 7. Add sashing. This is a fun part for me, because it’s really starting to come together. First you need to decide how big you want the sashing to be, and that may be based on how large you desire the final product to be. 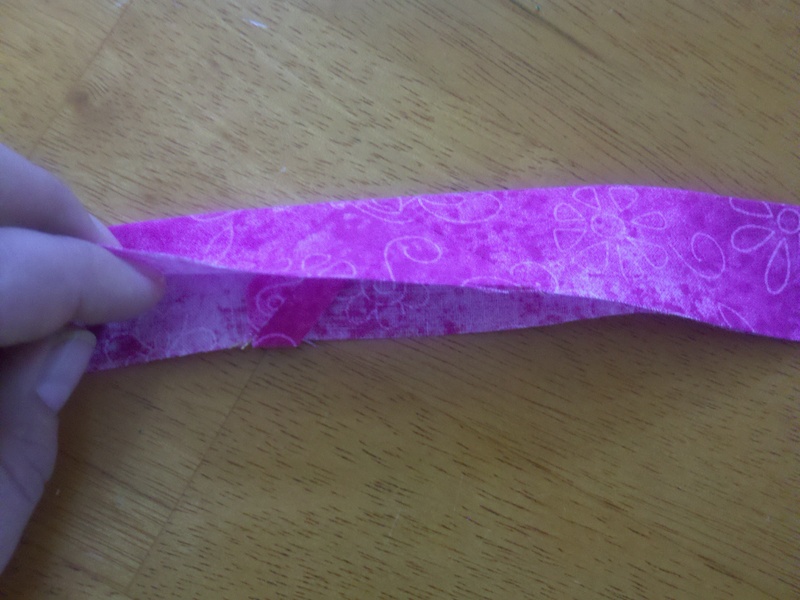 Let’s assume you want the sashing to end up 2″ wide, so you cut 2.5″ strips out of the material you want. Stack your shirts all facing the same way (ie face down, top of shirt away from you). 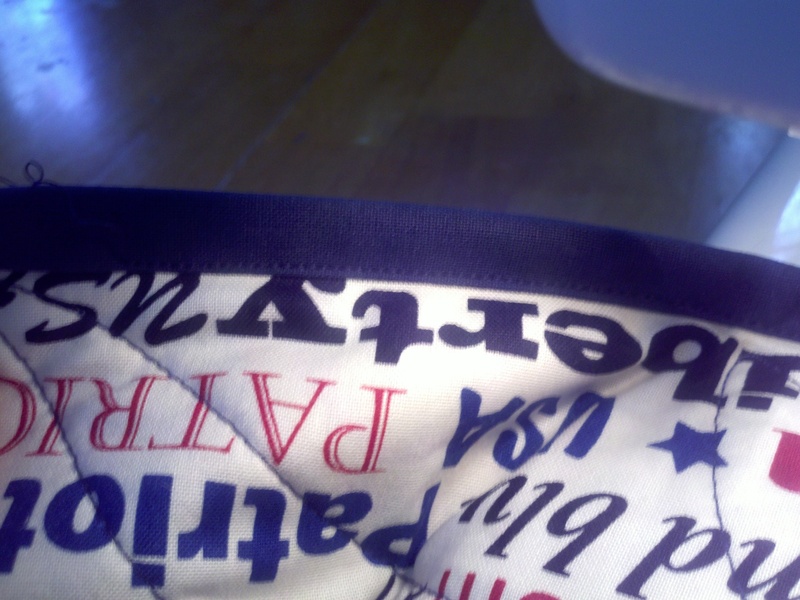 Lay a shirt on top of the sashing strip, and sew. When that shirt is attached, place another shirt on your strip. Then basically chain piece until your sashing isn’t long enough to fit another shirt. Get another sashing strip and begin again. 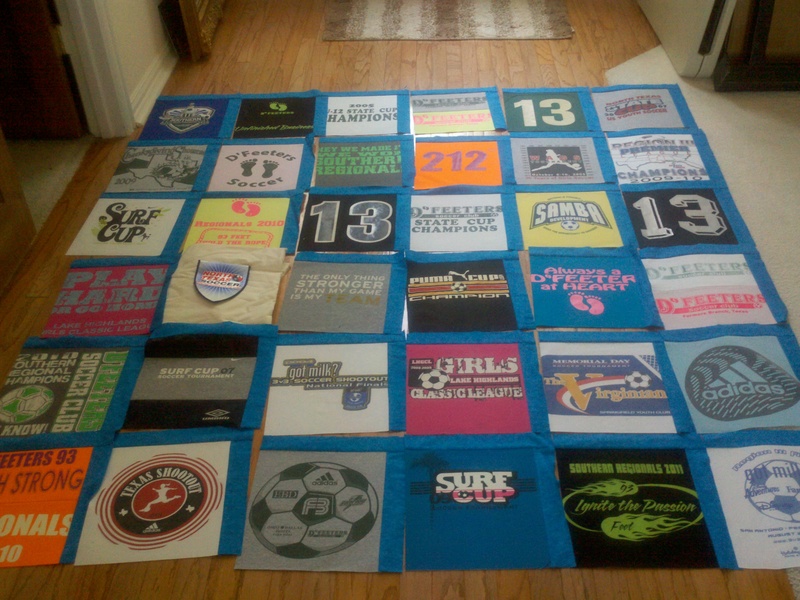 I can usually get 3-4 tshirts along each sashing strip. 8. IRON, yes again. uuuuuuuggggghhhhhhhhh. Iron the seam towards the sashing, which it will be inclined to go towards anyway. 9. 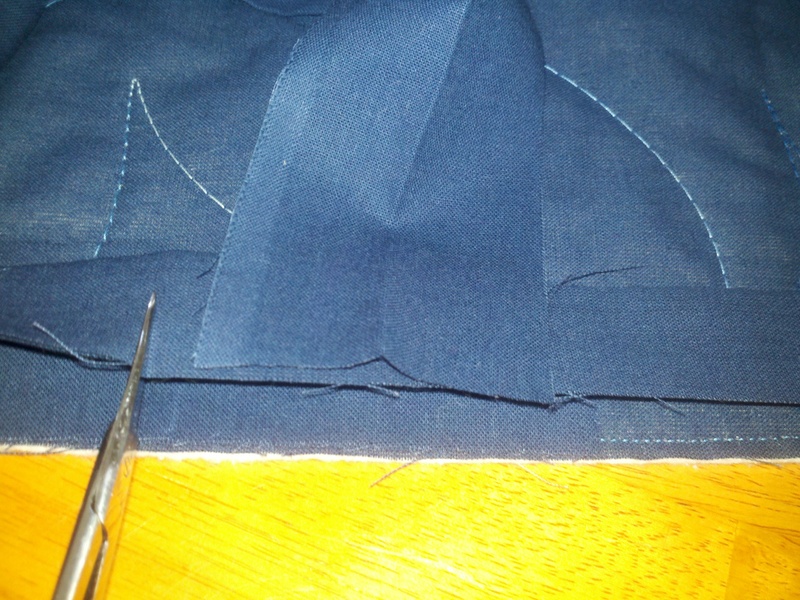 More sashing… Lay the shirts all the same way again, say face down, top towards your left side. Lay your shirts one at a time on the sashing and sew, just as before. 10. hmmm, IRON? Y E P!!! Again. 11. Lay out all your panels in a large area (like the floor or a big table). This is where you can decide what your eye likes, and which squares you want where based on color or logo. 12. Assemble rows! If you need to, pick up two squares at a time from your layout, so as not to confuse yourself. If you can pick up a row at a time then do so. When you complete each row, there will be one side without a sash. Add the sash at that time. 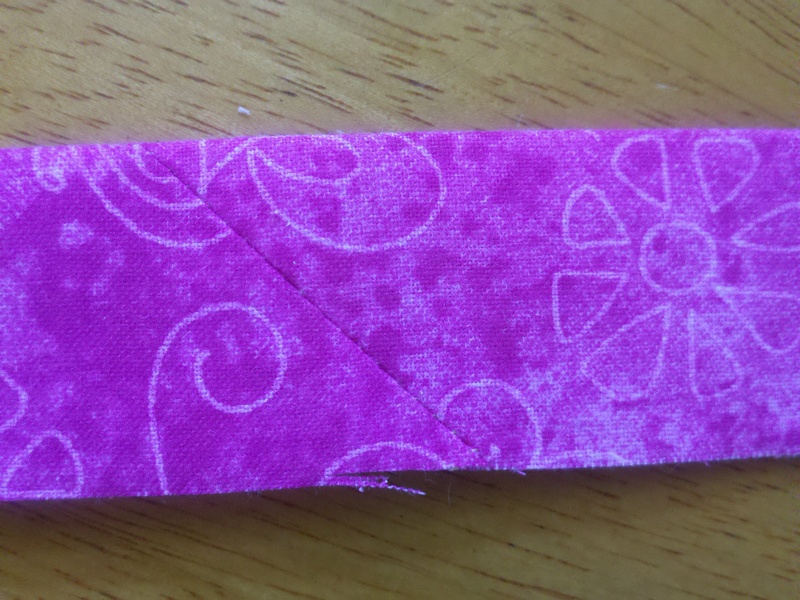 You can also use this as an opportunity to attach sashing to the bottom (or top, whichever is missing sashing). 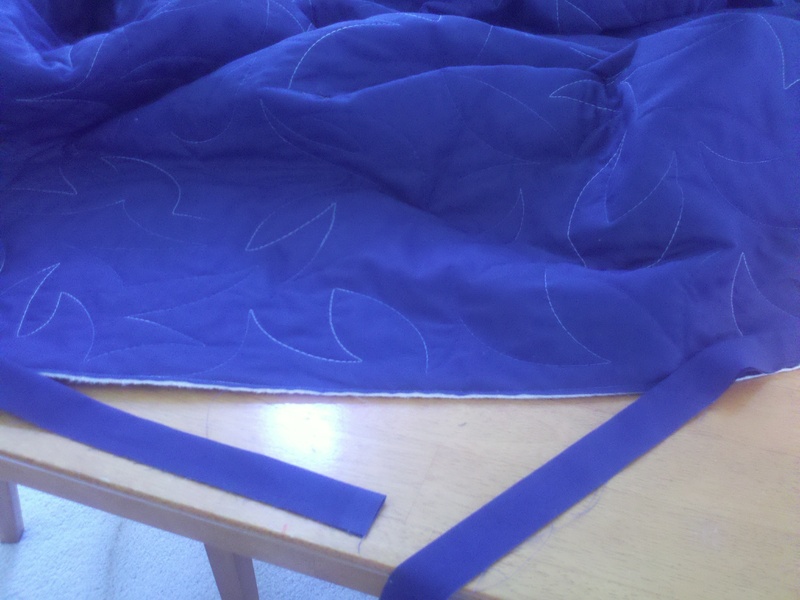 Doing that at this point alleviates the need to sew a long seam. 13. Sew rows together to complete the center! This step is as easy as it sounds! 14. Border time!! Decide how big you want your border to be to frame your great work of art, and cut it 1/2″ larger. 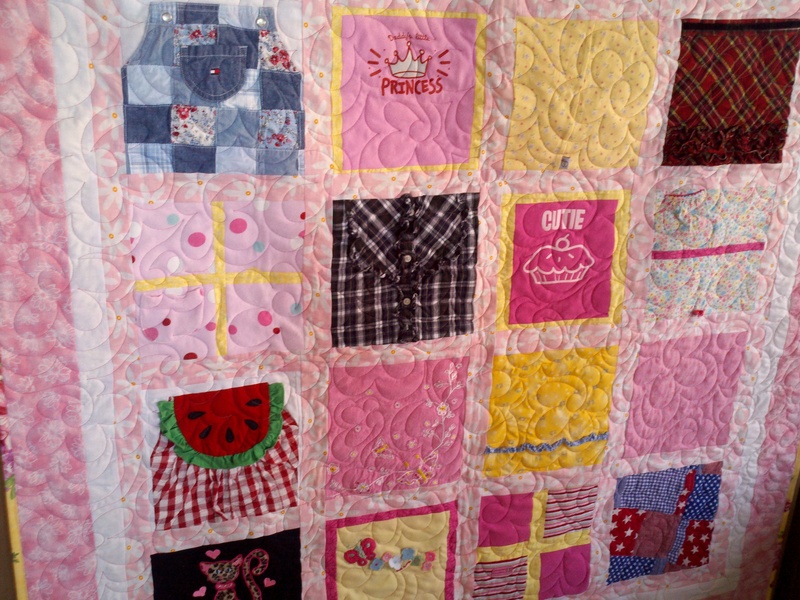 PIN THE BORDER TO BOTH SIDES OF YOUR QUILT! 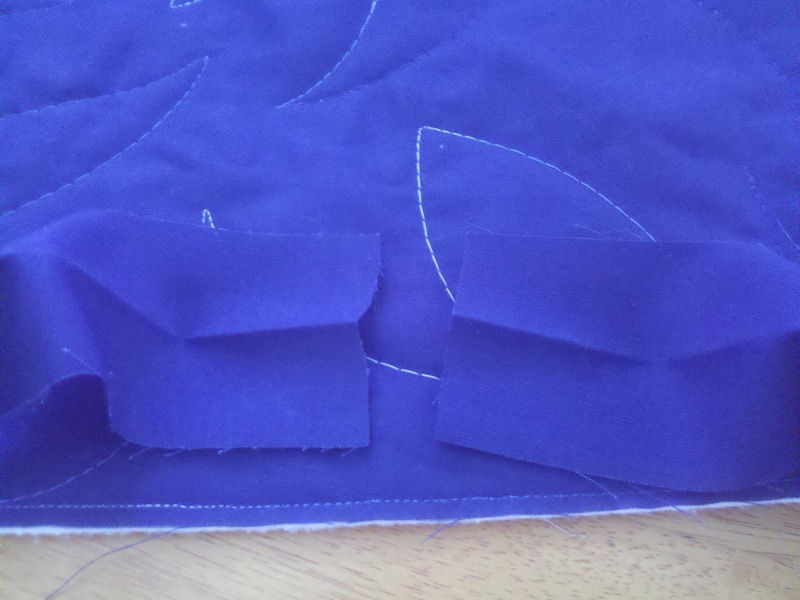 Measure your top so far through the center and that’s as long as your borders should be for the sides. Be wary of WAVY borders if you don’t measure and/or pin!!! 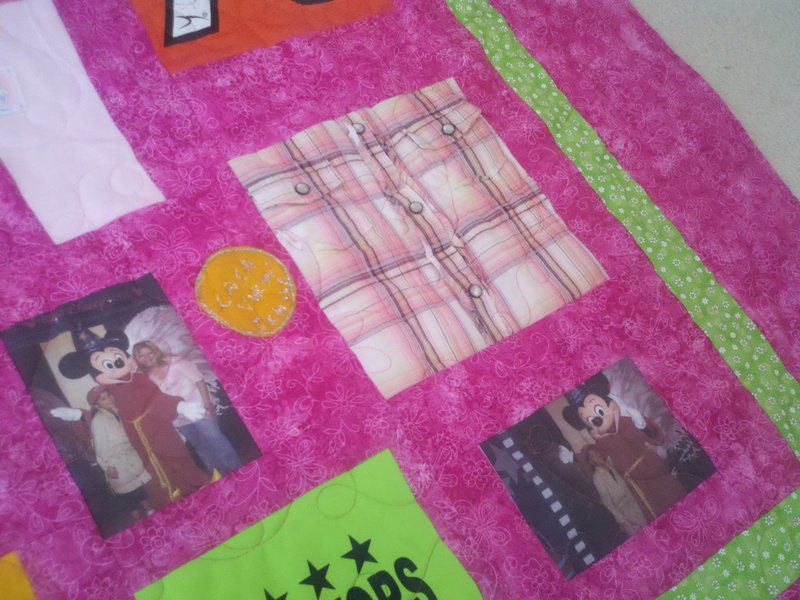 Once the sides are attached, then measure/pin the top and bottom borders and attach. YOU ARE DONE!!! Can you believe it? There are plenty of ways to make it more complicated and intricate, but this is a good starting point! 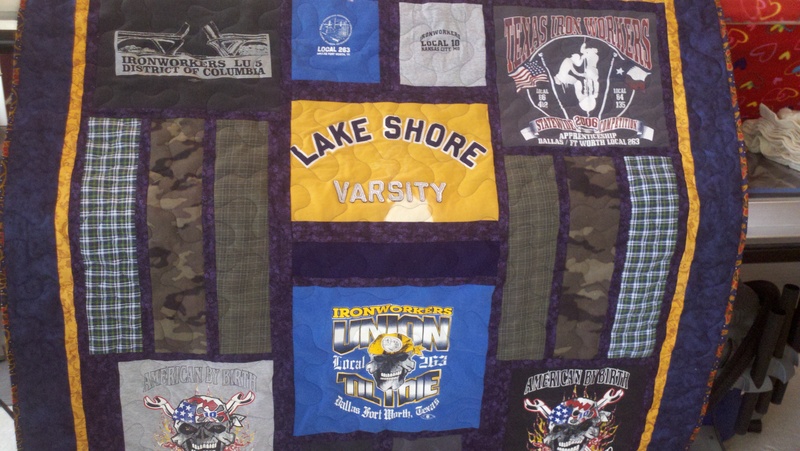 Best of luck my friends, and happy quilting!! !